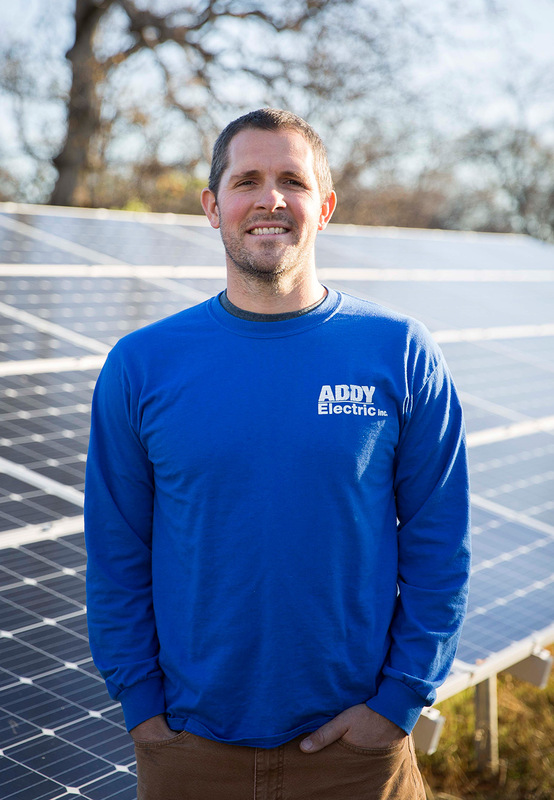 Addy Solar & Electric was started by Danny Addy, an electrician with 14 years of industry experience. Originally from New York, Danny relocated to Redding in 2008 where he met his wife. Since then, their family has grown and they now have sons. Danny has always been fascinated by the sun's ability to produce power. In 2012, he decided to increase the focus of his company on solar energy. Over the past seven years, Addy Solar & Electric has installed hundreds of solar systems across Northern California and expanded from the Redding area into Red Bluff, Weed, and the East Bay. Let us show you why Addy has become a trusted name in the solar industry.